An interview with Ubisoft's senior producer, Dominic Guay, has revealed that development on the highly anticipated game 'Watch Dogs' began as early as 2009. The subject arose after Guay faced questions regarding the possibility that Watch Dogs was inspired by the popular TV show "Person of Interest", which was first aired in the latter stages of 2011. "Actually we were many years into development when we heard of that show for the first time. Making a new IP like WATCH_DOGS is a long process and we started to craft our vision in early 2009. The game was already pretty much set in its direction at that time so similitudes were random or most probably based on having similar real-world inspirations." "I think that when you choose a relevant subject matter that is echoing real world events you can expect to see similarities with others. To be honest I have not had a chance to really get into that show yet, I'm just too busy with the game." In other news, Ubisoft have created a promotional website called 'WeareDate'. WeareData gathers urban and unprotected information to create an interactive map for three European cities. These cities are: London, Berlin and Paris. The website collects information such as Locations of traffic cameras, mobile network antennas, Wi-Fi hotspots, and subway schedules. Furthermore, socio-economic data like people's crime rates and average incomes, along with social networking information, such as public posts of Twitter, Foursquare and Facebook are also collected. Watch Dogs will be available for current generation consoles on November 19th in North America and November 22nd in Europe and could become 'the next big thing' for Ubisoft, depending on the success of the game. 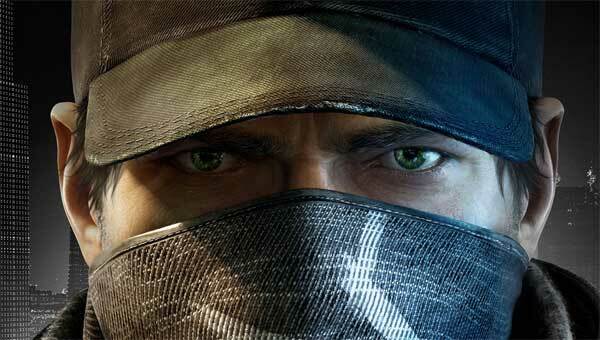 Watch Dogs will be available for the PC, PS4, Xbox One, Wii U, PS3 and Xbox 360. To conclude, it's pretty safe to say that we can expect big things from a game that's been in development for just over 4 years. What do you think? Are you looking forward to Watch Dogs? Let us know in the comments below.